Technology has been growing very fastly from year to year, and we will see new versions in your treasured programming language like Java, Spring Boot2, etc. From the last couple of years, new versions of programming are realised for every six months in the market. While I started I thought Java 9 is new before I can complete the Java 9, Java 10, Java 11 is released. Atlassian Jira is an essential tool in the modern world of Agile development. It is used for project management, bug tracking and issue tracking. If your company follows Agile methodology development like Scrum & Sprint, then you should know about Jira. It permits you to track the progress of your software and make Spring cycles for software development. If you desire to become a Scrum Master, I strongly intimate you learn Jira Certification with Real-time examples. Undoubtedly Atlassian Jira is the best tool for Agile practitioner, if you want to become a Master in Agile, then take a look of Agile Courses. Linux is an open source & community developed operating system for computers, embedded devices, mobile devices, mainframes and servers. It collaborates with all major computing platforms like x86 support Linux, ARM and SPARC. Most of the developers are like to do their work and create anything new concepts in Linux. The major features for choosing the Linux is stability, compatibility, power and flexibility. Gradle is other open source automation tool that uses the most exceptional ideas of Apache Maven and Apache Ant and driving it into a next level. It is a default build tool for Android, and it introduces the Domain Specific Language(DSL) in place of XML used by Maven for reporting the project configuration. According to our need, it makes it easier to configure project dependencies and its customization. Most of the developers are chosen Gradle over Maven and Ant, because of its features like flexibility, control of Ant, Ivy dependency management, Maven plugins, convention over configuration and it uses Groovy DSL this formulates it is the most exceptional build tool for Java projects. According to POM concept, it is used to manage documentation information, reporting and projects build. Before Maven we can use a bunch of third party libraries in your Java project for controlling the JAR files and their dependencies, Maven solves it by downloading the JAR files automatically. Present days most of IT professionals prefer Docker for automating the application deployment on cloud server as well physical server. It is an open source tool, and it allows admins, developers to build and run the distributed applications on cloud, data centre VMs and laptops etc. Docker supports collaboration with Linux, Cloud and Windows and various companies focusing on IT automation. Selenium tool is one of the most excellent Testing frameworks for web-applications. 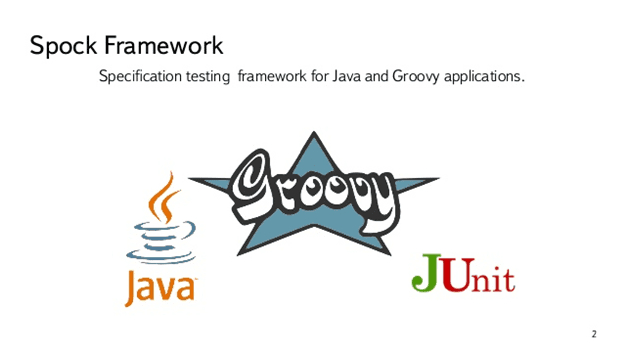 It provides a tool for creating test scenarios without require to learn a scripting language. With this feature, Java developers test their JSP and HTML files with the help of selenium. Selenium provides a different kind of tools and libraries for browser automation. If you are working on testing space or automation, then selenium is a need for you. If you are unable to decide what to learn in selenium, then select Selenium with Java is very good for Java developers. 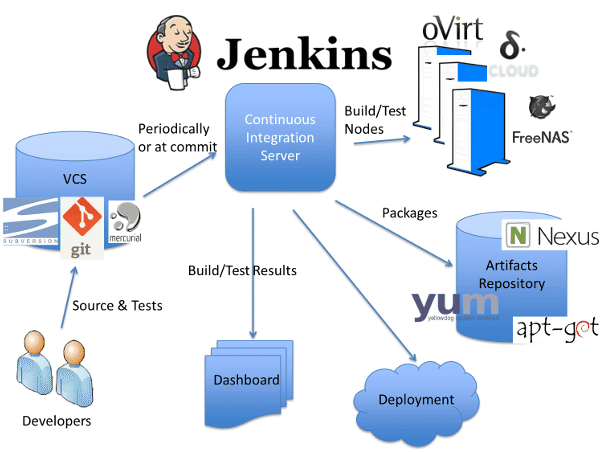 Jenkins is one of the open source automation server scripted tools in Java. It serves to automate the humanoid part of the software development process, e.g. uploading aircraft on the remote and local repository, running unit and integration test, compiling projects and document generation. Jenkins is one of the best-known tools for continuous implementing and integration in your project. If you want to start or improve your Jenkins skills, then achieving Jenkins Certification is highly beneficial and also convenient. Git and Github have been around some time, while in the past, developers are using Git with eclipse but now most of the developers are using the Git with a command line. Previously developers are not much familiar with Git, the projects directly downloaded from Github and ran in eclipse, but now developers are using Git commands for handling errors and reverting changes. From right now, most companies emigre their projects from CVS, SVN to Git, now it's time to learn and master in Git. 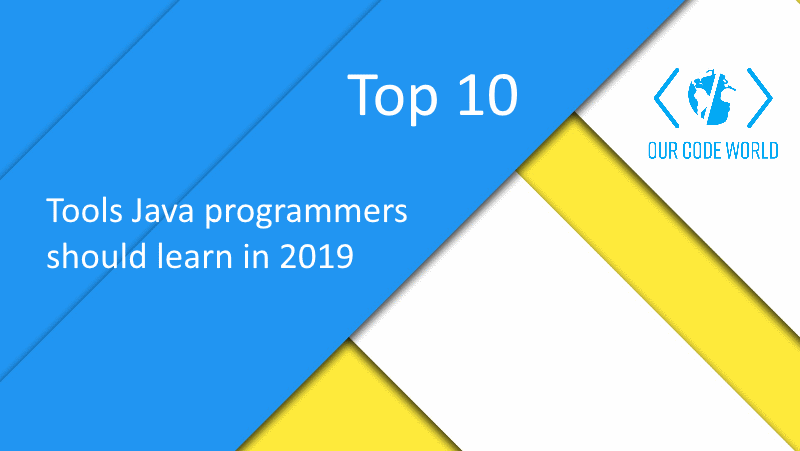 That all over the list of tools Java developers should learn in 2019. I have discovered a strong relationship between tools and good programmers and they have good knowledge of their tools compared to ordinary programmers. If you are serious in your career and try to improve your understanding of tools, then spend some time to learn the above-discussed tools. Finally the more expertise you gain on different tools, then the more knowledgeable you become. Sandeep Aspari, Science graduate and been into a technical content writer working on distinct technologies and also a freelance content contributor from past one year. He is passionate about learning new things about the technological advancements that help mankind for a better living. His articles focus more about latest trends happening around the world. To know more about Sandeep.